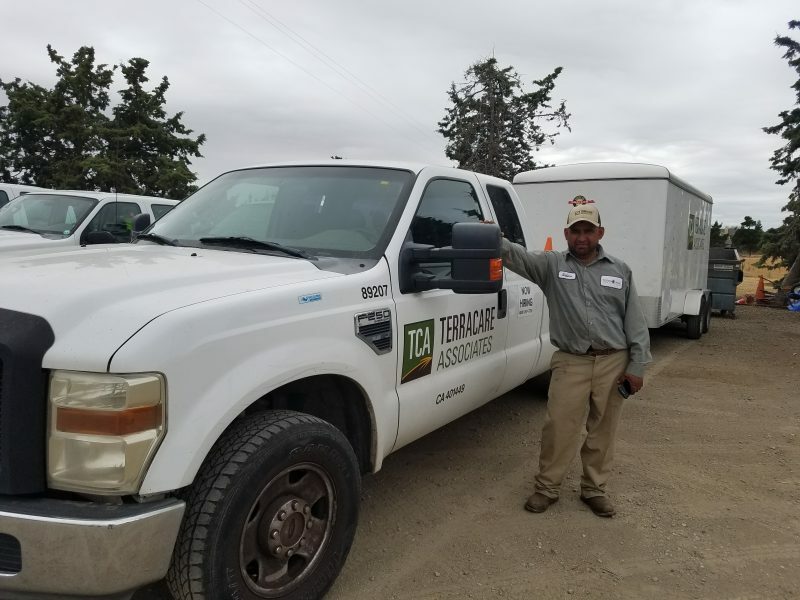 Gabino DeLaCruz has been a dedicated part of the Terracare Associates team at the Milpitas branch in California since 2012. He works as a crew leader overseeing maintenance work for the City of Livermore. His main responsibilities include directing his crew, training new workers on the City of Livermore contract, and knowing all work sites and maintenance requirements for the City of Livermore. Above all, Gabino values the safety of his crew and the citizens of Livermore. He always thoroughly inspects sites before beginning work and makes sure to implement proper traffic control to ensure the safety of his crew and those who pass by. “Gabino knows all of the work limits and requirements for the City of Livermore and always follows them. I can count on him to get the job done well and to keep his crew safe no matter how difficult the conditions,” said Sam Galvez, Operations Supervisor for the City of Livermore. The City of Livermore has field inspectors who monitor maintenance activities of the crew performing work. Gabino works closely with the inspectors and when their priorities change he makes adjustments to maintenance services being performed to meet the inspector’s needs. He takes pride in maintaining a beautiful landscape that the citizens of Livermore can enjoy. Thank you for all of your hard word Gabino!